It is genuinely designed and built for heavy-duty process of doctoring rewinding. Built with customized drive suitable to user’s applications for all types of Laminates like Foil, Paper, LDPE, HDPE, PVC. 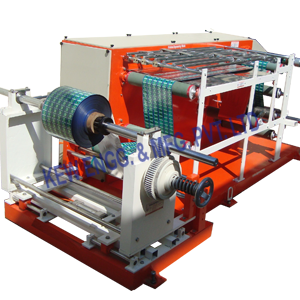 100% correction Our Heavy Duty Doctoring Rewinding Machine is used. Heavy duty process is manufactured with us most precision which ensures zero maintenance up to 10 years.